It’s that time again – time for the holidays, and with this time of year comes all of our favorite foods and traditions. 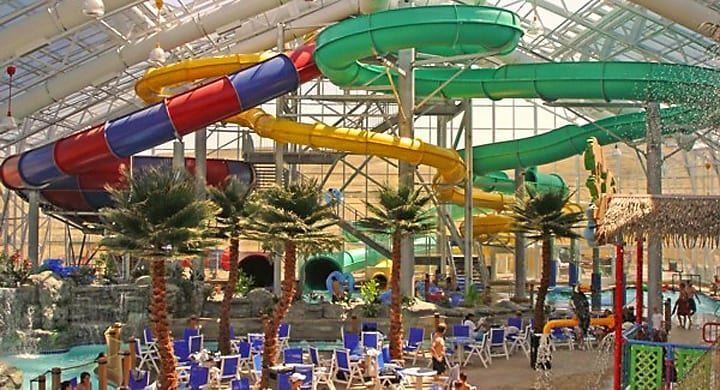 Here are a few of our locals’ favorites. A legend in its history, and a tradition for many is for a Greenberg Turkey to be on their Thanksgiving table. Just driving by the Greenberg Turkey plant this time of year – with the smoke rolling out of the buildings – will have your mouth watering as you smell that heavenly, smoked turkey scent. 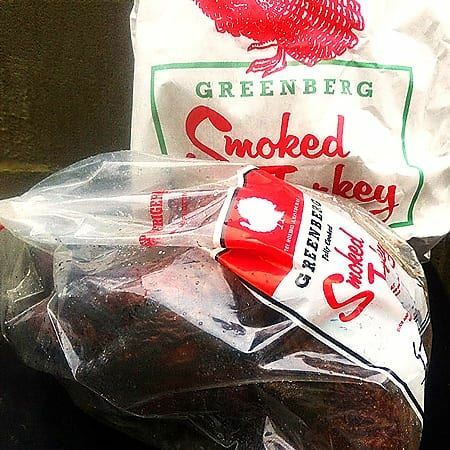 One taste and you’ll understand why so many people make a Greenberg Smoked Turkey the center of their holiday celebrations. Turkeys are available from 6 pounds (feeds 12 to 18 people) all the way to 15 pounds (feeds 30-45 people), and range from $33.40-79.40 each. A rule of thumb for size is a third to half a pound per person for average eaters. The average size of turkeys is between 8 and 10 pounds. They ask that you order early to ensure that the size of your choice is available. Closer to the holiday’s sizes of turkeys available may become limited. 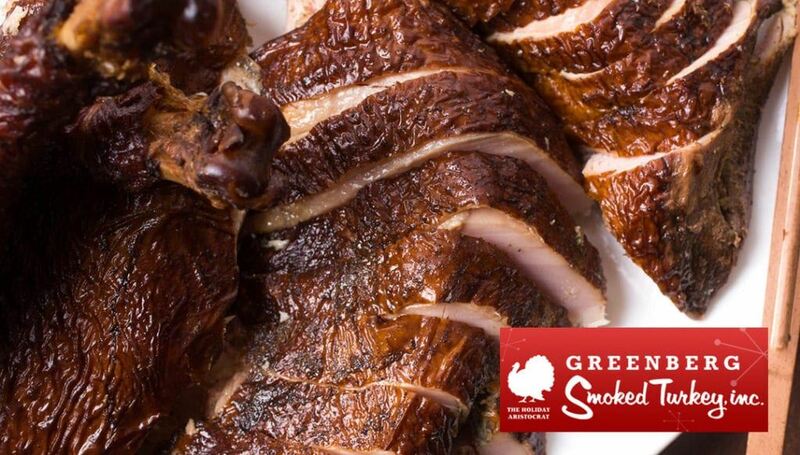 Whether you are serving a Greenberg Smoked Turkey at your own table or sending them as gifts to family and friends, you can place your order online or drop by their office Monday-Friday, 8:30am-5pm. Also, on the website, there are a few recipes in case you have leftovers, including a favorite in my family, the Greenberg Smoked Turkey and Andouille Sausage Gumbo. Greenberg will ship nationwide. The office and plant are located at 221 McMurrey Dr., Tyler. 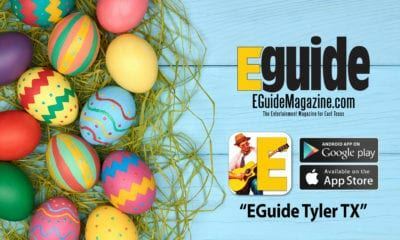 For more info and to order online go to gobblegobble.com or call (903) 595-0725. Hebert’s (pronounced A Bears) is the home of the original deboned, stuffed poultry, and is owned and operated by true Cajuns. Their Cajun market has developed unique seasonings, marinades, stuffings, and cooking processes to produce wonderfully delicious products. 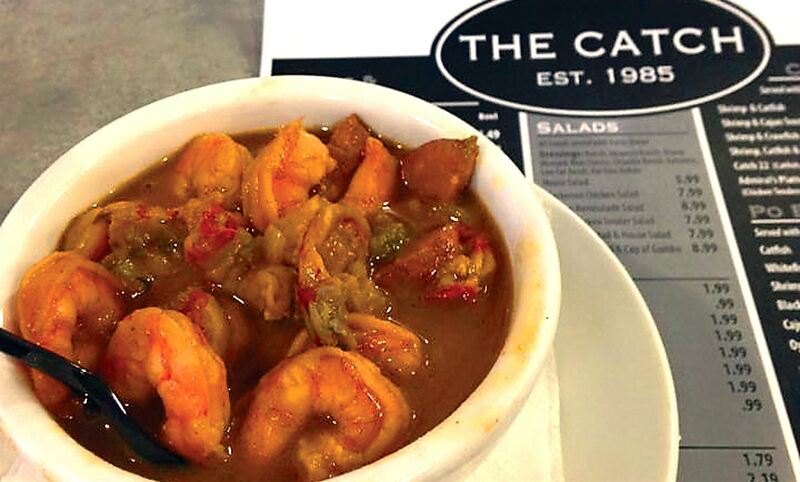 They have all the Cajun favorites: gourmet Turducken, Andouille sausage, etouffee, crawfish pie, and much more. Hebert’s starts with a selection of the finest products available. The timely combination of cooking and seasoning creates the authentic Cajun flavor, which until now, was found only in South Louisiana. Their goal is to provide customers with a consistent, high-quality product and a true Cajun flavor. Hebert’s has been in business since 1984, with the original store in Maurice, Louisiana (just south of Lafayette). After just one taste you will understand why. This time of year, Herbert’s specializes in something unique- Turducken. 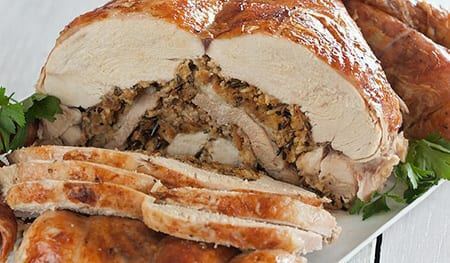 A Turducken is a completely deboned turkey that is stuffed with a boneless duck plus a whole deboned chicken. Then a delicious cornbread dressing and pork stuffing are added between each layer to separate each poultry. 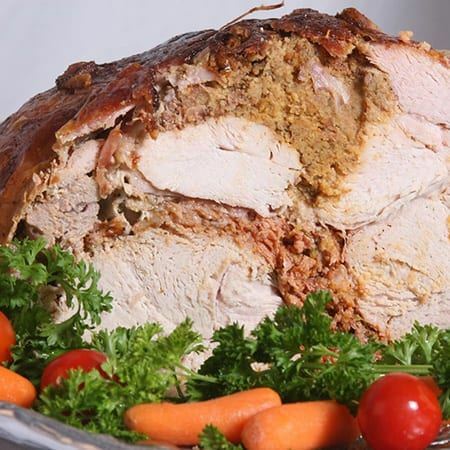 Special seasonings are sprinkled over and into the entire product; then the Turducken is vacuum sealed, forcing the seasonings into the product, enhancing flavors and freshness. Herbert’s also sells smoked hams, Boudin, sausage, crawfish pies, deboned stuffed chickens, deboned stuffed turkeys, gumbo, etouffee, kabobs, and their custom created sauces, spices, and rubs. They also sell fine cut steaks that are ready to throw on the grill after defrosting. Their roasts are stuffed with onion, bell pepper,and garlic, and are oven ready after defrosting, too. Variety is key here and Herbert’s has something different for your holiday dinners. The deboned chickens or turkeys have all the bones except for the wing tip and the two small bones in the wing. They are then stuffed with three pounds of a delicious combination of ingredients. They come ready for the oven, either fresh or frozen. 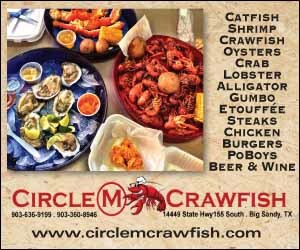 You can choose ten different stuffings: alligator and rice dressing*, broccoli and cheese dressing*, traditional cornbread dressing*, jalapeno cornbread and crawfish dressing*, crawfish and rice dressing*, eggplant and brown rice dressing*, pork stuffing*, rice dressing*, shrimp and rice dressing*, or boudin. Deboned turkeys are available too, noted with an asterisk, plus they also offer a duck dressing. 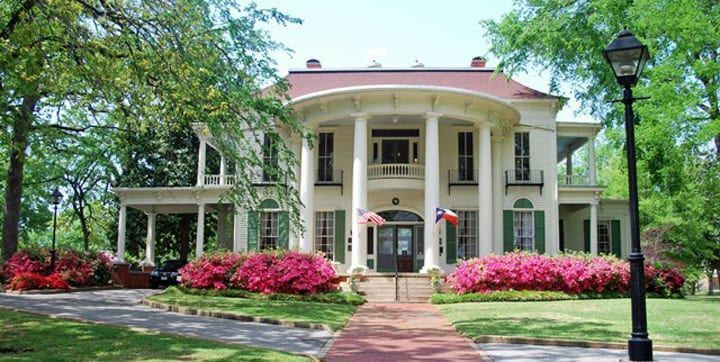 Herbert’s has several locations in East Texas. 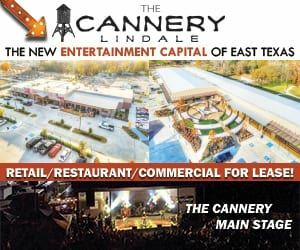 The Lindale market is located at 2304 S. Main St., and in Longview, you can find them at 1301 Judson Rd. 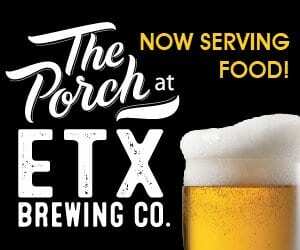 For more info and to see their menu go to hebertstexas.com, e-mail sales@hebertstexas.com, or call (903)247-MEAT (6328). Stanley’s Famous Bar-B-Q is smokin’! 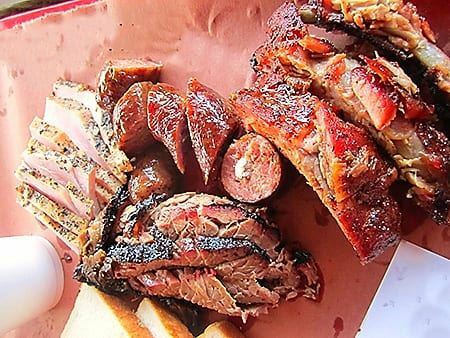 Stanley’s – well-known for their pecan smoked meats such as their perfect brisket, baby back ribs, turkey, chicken, fresh made sausage, and even pulled pork, throughout Texas – also smokes turkeys during the holidays. “We will take orders up until November 21st (the Monday of the week of Thanksgiving) and the turkeys will need to be picked up by end of business on Wednesday, November 23rd, as we are closed on Thanksgiving day. The turkeys are priced by the pound at market price and come in a variety of sizes,” said Nick Pencis, owner. They start taking orders 2 weeks before Thanksgiving. You can place your order at the walk-up counter, call (903)593-0311, or go to www.stanleysfamous.com. Pie in the sky is not just a saying – it is a description for the pies at Loggins – which are sheer heaven! 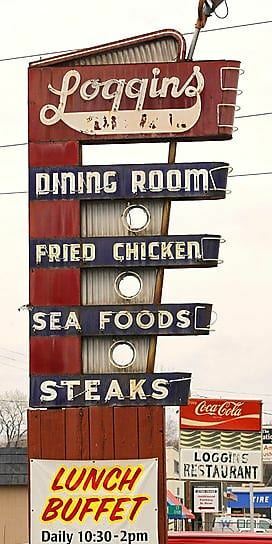 Loggins Restaurant is family-owned and has been a favorite eatery in the heart of Tyler since 1949. Originally it was a drive-in, and old pictures are located on the walls. Offering southern-style foods on a lunch buffet, Loggins is a great place to get that “warm eating at grandma’s” feeling. Loggins has been a popular lunch spot, typically packed to the gills every day, for eons for East Texans. 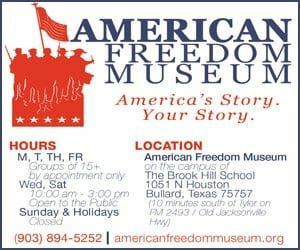 They are open 10:30am- 2pm Sunday-Friday (closed Saturdays). Be sure to get there early, the line is sometimes out the door. Loggins has different menu items daily on the buffet. Southern style foods are their mainstay on the buffet (and their fried chicken is the best we’ve found), but their pies have become legendary as well. Some have described the pies as “best pies in the world,” and being that their restaurant is only a buffet, you can sample as many different kinds as you like. All are made fresh daily with old time recipes passed down for generations. Typical most days is a delicious looking array of pies to choose from, including cherry, apple, cheesecake, coconut, and lemon meringue. The variety available changes often. During the holidays, you can get whole pies to go too. Be sure to call a day ahead. 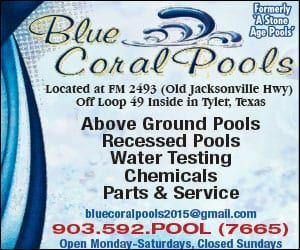 Loggins is owned by Jerry and Lyana Loggins, who offer excellent service to the folks of East Texas. They are also Johnny Football’s grandparents and huge Aggie fans. 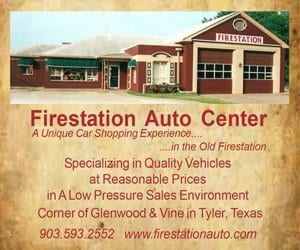 Loggins is located at 137 S. Glenwood Blvd., in Tyler. For more info call (903)595-5022 or go to logginsrestaurant.com. If you go there more than once, it is likely that the staff (and some patrons) will remember your name. It is just that kinda place. 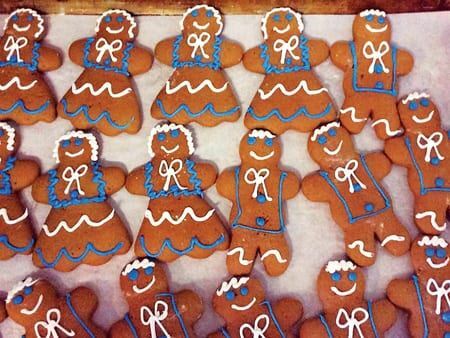 Their homemade and hand decorated gingerbread men and women are a tradition among a lot of locals. “I have lived in Tyler most of my 46 years, and Village Bakery is a place we have enjoyed since childhood. I had to have a gingerbread cookie whenever my mom would take me there as a child. For special occasions Village Bakery’s cakes are amazing, both in presentation and melt in your mouth,” said Libby McMann. “My favorite changes with the seasons: summer favorite has to be strawberry cake, for fall I crave Italian cream cake, Springtime calls for her Easter egg petit fours, and for the holidays the rolls and chocolate cake with fudge icing are to die for! Also, my son asks for the Hungarian pull apart bread every time I go. It is like sticky sweet monkey bread that is amazing with coffee or cold milk. Bettie Smith has continued her same traditions of superb quality and service throughout my lifetime. For a bakery, The Village Bakery is superb and a holiday tradition in my family,” said McMann. Village Bakery also features baked delicious pies, pastries, breads, cookies, muffins, cakes, brownies, or cupcakes as well as wedding cakes and by special arrangement, you can taste different wedding cakes by appointment. Village Bakery is located at 111 E. 8th St., Tyler. They are open 7am-6pm Monday-Friday, and 7am-5pm on Saturday, closed Sunday. For more info call (903)592-1011 or go to villagebakerytyler.com. The Annual Edom Fire Department Turkey Fry – Stop by the Edom’s fire department for its annual fundraiser where they will fry your turkey for you. An added bonus, they try to educate people on the fire hazards of frying your own turkey. They will fry the turkeys on November 23rd for pick up November 25th at the fire department. 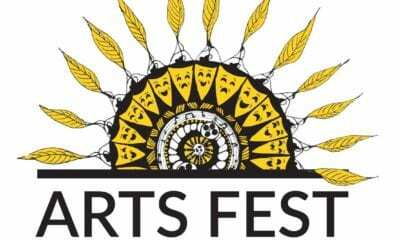 For more info call (903)852-6642 or (903)571-0334 with questions. Let’s get a little fruity! Collin St. Bakery, located at 17044 I-20 W., in Lindale at the Hideaway Lake exit, offers their world-famous DeLuxe® Fruitcake every year. It has been a favorite since 1896 and is still baked faithfully to the original recipe. According to their website, each fruitcake is the perfect balance of native pecans (27%), shelled in Corsicana, Texas, hand-picked Golden sweet pineapple and lush papaya, ripe, red cherries from Oregon and Washington State, pure clover honey, plump golden raisins. The fruitcakes are offered in both full-cake size and petites, a perfect bite-sized morsel of their world-famous fruitcake. 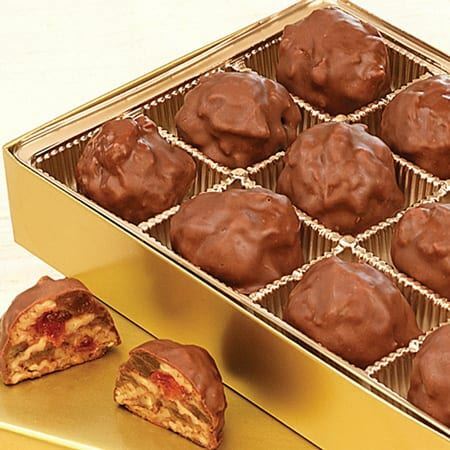 For the chocolate lover, the petites come dipped in delicious milk chocolate. 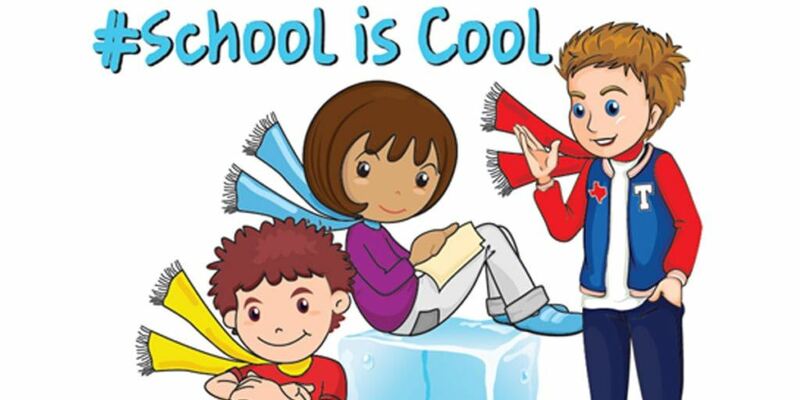 For more info and to place an order call (903)882-9205 or go to collinstreet.com. When you start to get tired of turkey, in come the tamales! 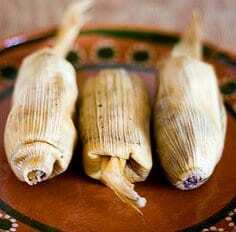 “Tyler Tortilla Factory offers homemade tamales and tortillas in Tyler, Texas. We offer tasty, delicious corn and flour tortillas, homemade chips and salsas, and our famous tamales made with the Correa family recipe. We are proud to have served delicious Mexican products to everyone in East Texas for over 35 years.” Every year, some families like to have tamales on the Saturday after Thanksgiving. At the Tyler Tortilla Factory choose from a selection of traditional pork tamales, beef tamales, chicken tamales, and their famous spinach tamales too. Ordering in advance is highly recommended. Tyler Tortilla Factory is located at 513 N. Border, Tyler. For more info and to place an order call (903)595-0873 or go to tylertortillafactory.com. By the way, their green salsa, although very hot, is heavenly! Get a container to go. Heartland Hams are available again at Traditions Restaurant in Tyler located at 6205 S. Broadway. To place your order call (903)534-1111 or e-mail traditionstyler@gmail.com. Don’t forget to get a Pumpkin Roll too! 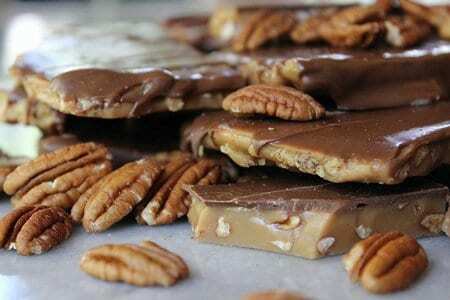 The toffee is only available for a couple of months before and after the holiday season, so it’s definitely a holiday commodity. You can also order it online at txmoon.com. They offer a pretty cool gift service too where you can just select the “Create Your List” button, download the form, and send them your list of corporate gifts to fulfill for you. They can even handle all the shipping.